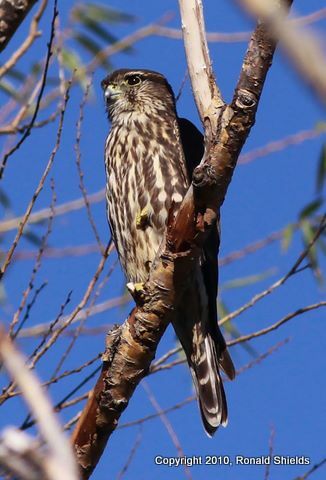 A Clay-colored Sparrow was reported at DeKorte behind the McDowell Observatory on eBird yesterday, and two were banded yesterday at the nearby Harrier Meadow/Erie landfill banding station. 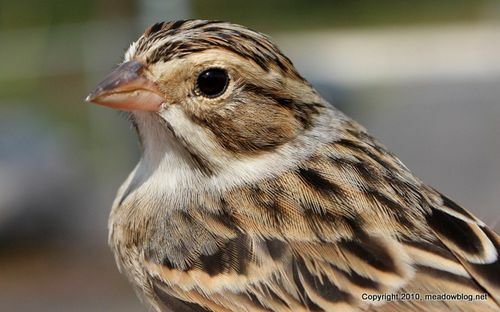 A photo of one of the banded CC Sparrow is above. More on the bird here. 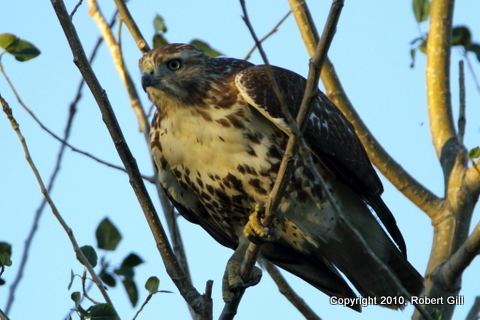 Ron Shields took this shot of a small raptor at Kearny Marsh on Sunday morning. 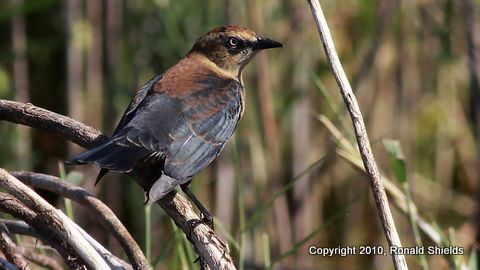 Ron also took the photo of a Rusty Blackbird (below) at the same location on Sunday morning. More on Rusty Blackbirds here.